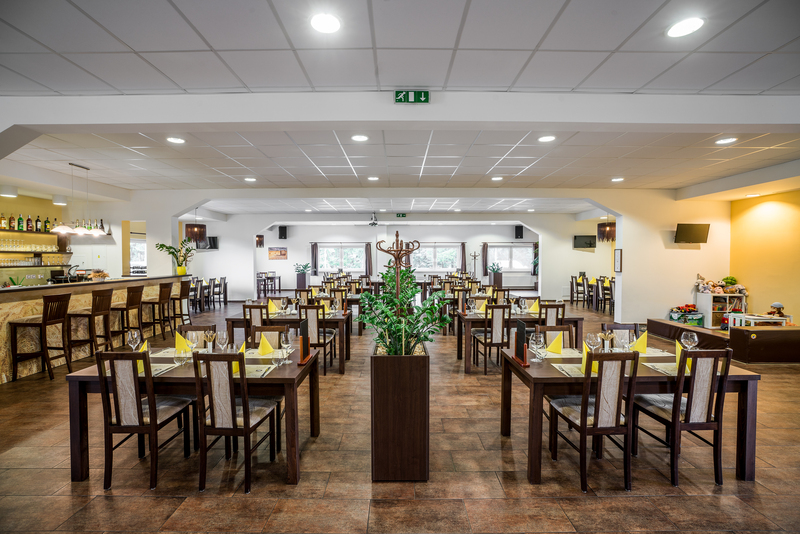 The restaurant has a capacity of 82 places, which can be increased to up to 120 seats. When the weather is nice, it is possible to use the outdoor terrace for a gathering of 50 people as well. We offer a pleasant environment and a professional attitude, and the main emphasis is on the high quality of our gastronomy. Apart from beef and pork, you will also find our speciality on the menu: veal in various forms. In the restaurant we cook exclusively from fresh ingredients. The meat comes from our own farm, proven by 20 years of tradition. We try to get most of the ingredients that we use in the kitchen from local proven growers (such as potatoes, onions, vegetables, honey and much more). An experienced team of cooks will prepare excellent steaks, veal and other specialities from these quality and fresh ingredients. You will find the current offer in the menu. A children’s corner is a matter of course, along with a microwave, changing counter, potty, steps for the wash basin, children’s urinal and children’s meals for our smallest guests. We will also be happy to lend you some crayons for drawing. We would like to ask you to BOOK places in the hotel restaurant or in the garden in summer. The hotel is becoming popular, there is an increasing number of events being held, and on some days of the year it may be closed altogether, or the operation may be limited, the regular menu may be not on offer, the garden may be closed, etc. The capacity of the restaurant/garden is sufficient, however, in case of increased interest for the given date, we will provide more personnel for your comfort, both in the kitchen and the restaurant.